A fine mountain standing proud at the south west end of the Twelve Bens. 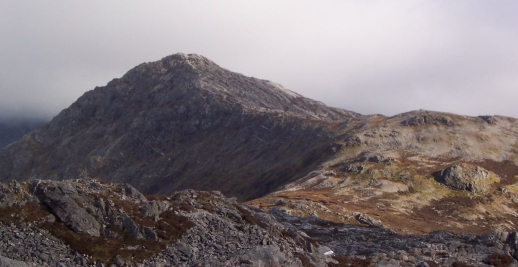 A previous comment suggested that it was hardly worth a visit - maybe not if you have done the whole Twelve Bens horseshoe, but if you are going up Benlettery and don't want to return by the same route I would definitely reccommend it. It is easily accessed from the saddle between Benlettery and Binn Gabhar (Ben Gower). After decending from the saddle the terrain is peaty and soggy in places. But this quickly gives way to firm rock and stones. Views from the top are excellent, especially south towards Rounstone and west towards Clifden. The decent on the south side of Ben Glenisky (Binn Gleann Uisce) is fairly steep but the terrain is fine (heather and rock mostly), but becoming boggy as the gradient levels out. The Clifden road is easily reached from here. 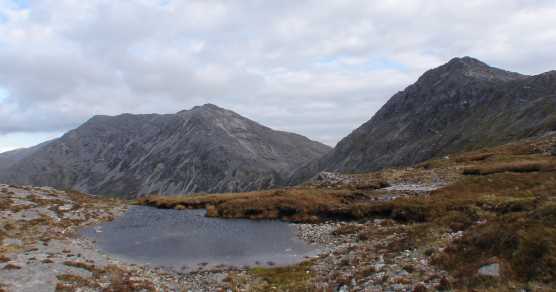 Picture from csd : Binn Gabhar and Binn Bhraoin from near the summit of Benglenisky. 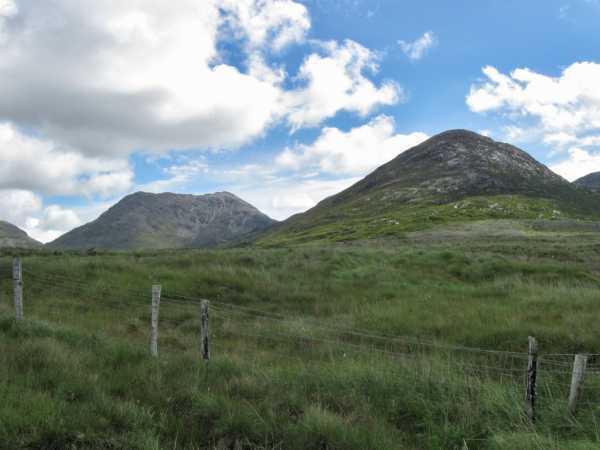 Picture: Binn Gabhar and Binn Bhraoin from near the summit of Benglenisky.